We looked at playing card constructions before in this column, but this one by Nick Sayers is impressively intricate. 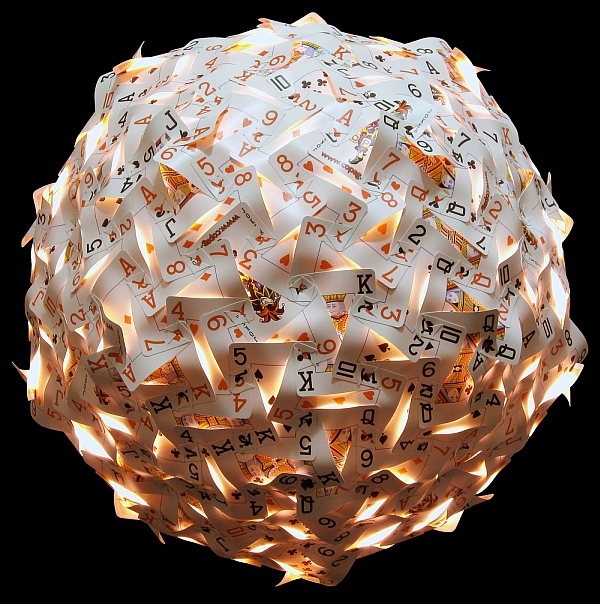 The 270 playing cards each have four slits, and lock together like the classic IQ Lamp. Each card is forced into a curved form because it locks with a neighboring card at two points which are closer together than a card’s width. Light from an internal lamp escapes dramatically from under these curves. This article first appeared on Make: Online, August 15, 2011.